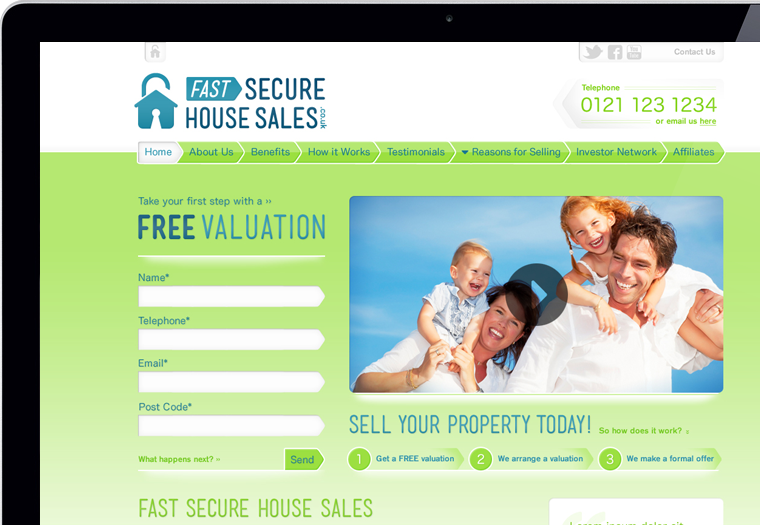 Fast Secure House Sales.co.uk “sell your home fast!” They “start by instigating a fast valuation of your home, followed by a secure offer to buy” allowing owners to sell their homes quickly to a trusted buyer in times of need. 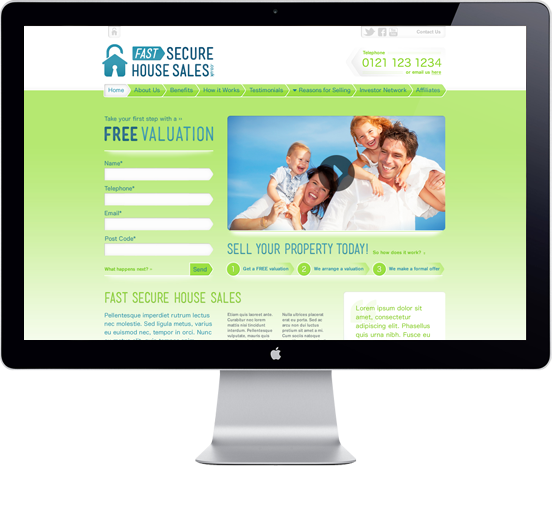 This web-based business approached Avenue for brand identity, business stationery and website design. 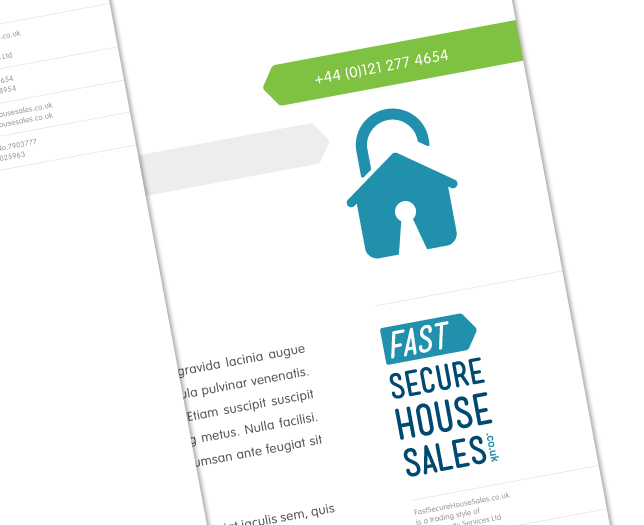 As a new company, the overriding challenge with FSHS’ branding was to produce an identity that evoked trust amongst potential sellers. A cleverly crafted padlock symbol immediately conveys security, whilst a ‘friendly’ colour scheme and a genial image bank deliver the required approachability. Arrows naturally form the basis of FSHS’ brand furniture to communicate the essential speed under which the company operates. 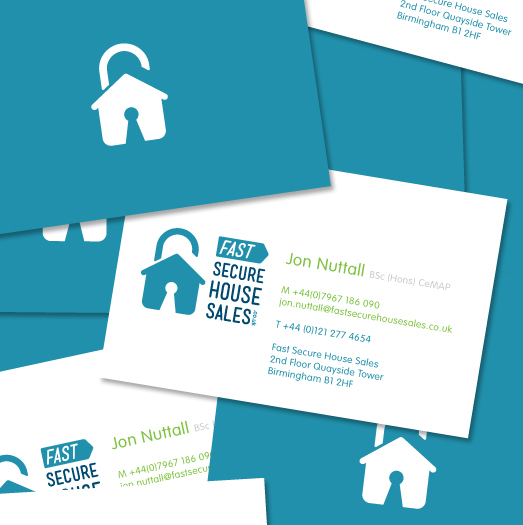 Fast Secure House Sales.co.uk logo design. The new brand identity was then taken to the FSHS website design. Detail showing the FSHS free online valuation form.